Project Based Learning supports a child’s natural tendency to acquire and learn more about the world they are a part of. The very hook that engages the student the very sense of inquiry of the world of which they are a part of. As in many Inquiry Based Models, PBL begins with an Investigative Question. This question could be called the open question, focus question, driving question, essential question, or probing question. The investigative nature of the question cannot be answered in a yes or no, but instead must call for student investigation. It will require students to uncover their need to know. As students find answers, they discover new questions of a more sophisticated in nature. This begins an upward spiral allowing for deeper learning and understanding. This is often seen as a repeated convergent to divergent process that becomes more complex with each cycle.. Students need to learn how to ask questions, understand various ways to investigate, and become familiar with research techniques whether it is through metacognition, collaboration, traditional fact finding, or digital literacy. Investigative Question (IQ) – Project Based Learning relies on a question that is open and allows for student investigation and inquiry. This simple inquiry and investigation will help guide the project. If an answer is qualified by just a yes or no reply, there is no project. The questions can be one that is formulated by the teacher or worked out by the students. It may have a final answer that is completely open-ended, or possibly could have a prescribed answer in which case it may align more with PrBL (Problem Based Learning). In all cases, it must connect and be aligned with the curriculum standards. The more engaging and open the question, the more it allows for an investigation that spirals. Student Owned Inquiry – In PBL students should begin to list their own questions (need to know) after becoming acquainted with the Investigative Question. This initial investigation is a brainstorming session. As new questions are asked, the teacher does not answer any of them, but instead accepts all possibility inquiry. Looking for answers will be a task for the students as they begin their journey into further inquiry, employing different investigation and research techniques. Some answer will be provided through teacher facilitated learning opportunities and activities. Best of all, the inquiry is student owned and generated and leads to further investigation and engagement. Spiraling Questions and Answers – As students answer question through the PBL process they will also think of new questions. This is a process of converging and later diverging ideas as new knowledge (content standards) are uncovered. This is one way a teacher facilitates students into uncovering, while not covering the curriculum. In PBL this is much more than an inquiry cycle because the inquiry becomes deeper with ongoing iterations. It is for this reason that the question investigation is an ongoing process that ultimately can be described as an inquiry spiral. This spiral not only amplifies the inquiry but also deepens the learning. 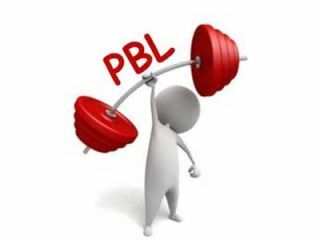 Skill Based – The inquiry process in PBL is deliberate and planned out by the teacher. It must have the opening investigative question, student investigation beginning with need to know, lesson and activity mapping, product outcome, plus final and ongoing assessment that is aligned to the content standards and skills. Students learn how to investigate research, collaborate, self-learn, analyze, evaluate, and even derive information from traditional lectures, readings, and resources along with the vast amount of possibilities that can be found online. The skills demand not only the ability to find answers, but the skill search for information, evaluate the resources, and ask new questions. Project Based Learning facilitates and activates that essential human desire to learn, investigate, and inquire. It fosters the ability to ask good questions while seeking possible answers and solutions. It is often stated that the only thing better then great answers, are great questions. A PBL Unit facilitates the student process of inquiry while seeking knowledge, along with high level skills that will serve a lifetime of learning. The Right Question Institute – Inquiry is the foundation for great thinking and metacognition. Here you will learn how to not just find answers, but also how to construct great questions. This is an amazing process that will scaffold your students to “genuine learning’ with life long possibilities. Google Advanced Search – Stop sending your students to just the Basic Search… instead show them how to use the Google Advanced Search. I have an article to get you started. Genious Hour – This site might just help you get started in providing students the opportunity to learn how to learn, while practicing self-regulation. Best of all, it supports that important voice and choice along with spiraling inquiry! It really encourages that important Maker’s Culture that so many schools are employing. Wonder Wall Edutopia article – Read this article on how creating a Wonder Wall provides ways to incorporate the inquiry in the classroom. It really can help build a culture of wonder. Smithsonian Learning Lab – Explore this amazing resource to create wonder and excitement in the classroom. SearchResearch -Discover this blog about search, search skills, teaching search, learning how to search, learning how to use Google effectively, and learning how to do research. It also covers a good deal of making sense of research and information foraging. Driving Question Series – Learn all about Driving Questions in this two-part series hosted at my blog, 21centuryedtech. Education Resources for Web Literacy – In a world of information overload, it is vital for students to be able to find information on the Web, as well as to determine its validity and appropriateness. Alan November’s web literacy materials demystify the process on the web so you can impart the vital skills students need to be safe, competent, and successful 21st century learners. Facilitating Inquiry in the Classroom – Check out my series of posts that provide multiple ways to facilitate inquiry. This link leads to the first post… be sure to check the posts that follow for a goldmine of information.